The Inbound Marketing methodology is a lead generation system that many businesses use to increase their customer base and improve their bottom line. When properly implemented, this information motivated approach to marketing can draw new clients to your brand, encourage them to purchase products and services, and can even persuade them to become loyal customers for life. Today, more and more businesses have recognized the value and opportunities that inbound can offer them. After all, wouldn't you just love to have prospects download an eBook or contact you because they want your products or solutions? Everyone loves a warm lead. Learn these secrets to inbound marketing to help your business drive traffic, leads and customers. In the past, traditional outbound marketing tactics such as placing ads in magazines and other on-line spam-like tactics forced businesses to continually struggle for attention. Prospects have learned to ignore these blatant, in your face intrusions into their private and work space. In contrast, inbound marketing is inclusive and helps your customers easily find you through a variety of widely-used online outlets such as website blogs, search engines, social media and other on-line platforms. Inbound marketers attract the attention of their potential customers by providing them with meaningful content and information that can help them meet their goals and solve their problems. By providing desired customers with content that offers creative solutions, answers questions and directly meets their needs, inbound marketing can help establish a business as an authority and build strong and trusting relationships with customers. 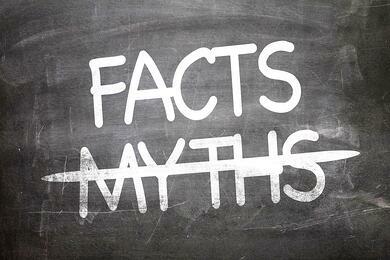 Over the years, inbound marketing has occasionally been plagued by myths. Unfortunately, sometimes these myths stop businesses from considering this form of marketing. Here are facts that dispel two of those myths. Myth: Inbound marketing is just like SEO (search engine optimization). Fact: SEO is a term used for optimizing keyword-based visitors to your website from search engines. Although SEO is an important element of any marketing program, investing in SEO without also investing in valuable new content is ineffective. On the other hand, inbound marketing is a comprehensive marketing methodology that not only draws a specific type of visitor that is highly targeted and correlated to the type of content you publish, but it also turns them into warm leads for sales and ultimately increases the conversion rate of those leads into sales. Myth: One person, such as your marketing director or a manager can handle all of the inbound marketing tasks. 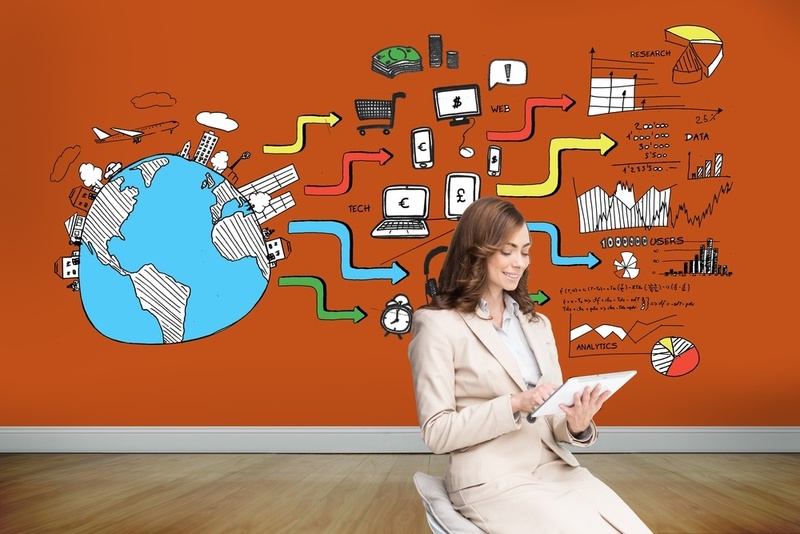 Fact: Inbound marketing is usually a team effort since it requires a variety of skill sets. Establishing and executing a successful inbound marketing campaign frequently involves SEO, content creation, landing page design, strategic planning, analytics analysis, video production, and other business talents. As with any methodology, there is no substitute for experience. Find a partner with the experience with the Inbound Marketing methodology and resources to ensure your success. There are several reasons that inbound marketing, or any marketing approach, can fail. For example, one of the keys to any successful inbound marketing campaign is to build organic search traffic by utilizing high-quality content geared toward potential customers. Your inbound marketing efforts can fall short if you fail to create the best possible content and blogs. Any type of content that you create should be engaging, deliver value, offer unique selling points and it must be written for your customers rather than search engines. Another reason for failure can occur if your business does not properly identify and understand the persona of the customers who need or are ready to review your products or services. Since buyer personas are the foundation of any inbound marketing campaign strategy, you must understand their distinguishing qualities, how they think, what they do, and their challenges. If your campaign activities do not align with the persona, your blogs, e-books, emails and other types of content and interactions will fail to engage them. It is like throwing spaghetti against a wall and seeing what sticks. The same is true for content. Creating a set of high-quality content that aligns with your prospect's needs will attract them and convert them into leads. Always begin an Inbound Marketing program with a content strategy because content is the foundation of any on-line marketing campaign. By starting with the right plan the probability of success is very high. The buyer's journey often consists of these stages. 1) The buyer's awareness they have a problem. 2) The buyer's considering potential solutions, 3) The buyer's decision to purchase the solution. You can address each stage of a buyer's journey with blogs and different types of content. For example, blogs work well for the awareness stage, ebooks for solution discoveries, and an assessment can help with decision making. At the end of your content or blog posts, it is wise to provide a Call-to-Action (CTA) to obtain personal information on your potential customer so that you can convert them into a lead. When they provide you with their information, you can give them more information and enroll them into an email drip campaign that is designed to nurture them to the next stage of the buyer's journey. Be sure to include the concept of email drip campaigns into your content strategy process. Analytics study current and past behavior of website visitors. Selecting an inbound marketing platform produces the best results and enables marketers to gain significant insights into trends, patterns, and behavior changes. While specific behavior based work flows help to automate the visitor engagement process, automatic lead scoring can provide a score of the best prospects and is very helpful as lead count rises. Measuring the growth of your website visitors - specifically organic traffic. Tracking the total number of leads and the visitor to leads percentages. Examining which MQLs turn into sales qualified leads (SQLs). Studying details of conversion opportunities into customers and then optimizing targets, content and outreach to attract similar prospects - buyers that are the best fit. There are many reasons why businesses have learned to love inbound marketing. It not only provides a flexible platform and methodology to execute a powerful assortment of digital marketing tactics, but it also provides measurable results. It can help prospective customers find your business, obtain feasible leads, grow your sales and profits, strengthen your market position and more. If you are new to Inbound Marketing, then please download the free eBook titled "An Inbound Marketing Guide for Newbies." These third-party blog articles are included to provide you with a broader view into the Inbound Marketing methodology. We have hand-selected topical articles that fit into the topics we covered in this blog article and all are focused on the Inbound Marketing methodology. This first article is from Blue Wire Media. Will Blunt drills into the four phases of the Inbound Marketing methodology (Attract, Convert, Close, Delight). If you’re marketing your own business, it’s important to remember how your customers want to interact with you, how they might share information about you, and where they’ll go looking for that information. Inbound marketing is one of those concepts that have garnered a lot of attention on the digital marketing scene in recent years. There has been a lot of hype across the marketing blogosphere and at various conferences, about it being the way to turn prospects into loyal brand advocates. However, you’d be forgiven if you are a bit foggy about exactly what inbound marketing is, how it works and why it’s become the hallowed method to grow your audience. It would seem that not everyone who expounds its virtues can explain inbound marketing methodology without slipping down an even deeper marketing jargon rabbit hole. W‍hat I really love about this article from Adept is their initial suggestion about the importance of an Inbound Marketing strategy. It is common sense, but so many companies do not do it. Start with a strategy and plan and then have experienced and talented people help you implement it! Y‍ou may have many questions about Inbound Marketing. If so, please feel free to download The State of Inbound Marketing 2016 report from Hubspot and read this blog by Bonafide. They did a great job of listing the most common questions about Inbound Marketing.